Most consumers understand that even free apps have to make money somehow. In most cases it's simple advertisements, but there are increasingly more cases of app-makers obtaining and illegally distributing users' personal information to third parties. 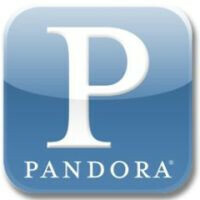 Pandora Media Inc., the maker of the free Internet radio application, has been subpoenaed. On Monday, Pandora announced, via an SEC filing, that they received a subpoena for a federal grand jury. That grand jury will investigate whether Pandora and others are distributing customer information without proper disclosure. That kind of abuse could bring criminal charges, in violation of the Computer Fraud and Abuse Act. While criminal charges are an option, they are unlikely. Experts say that the companies found in violation will most likely incur civil suits, or be required to make monetary payments. The real goal appears to be to encourage more respect for users' privacy. Here is hoping this not a headline grabbing dog and pony show. It would be nice to find out who is misusing the information from their Apps and educate people through the exposing of these parasites how to protect themselves. I absolutely believe it is each users responsibility to protect themselves, but I have no problem watching crooks fall on their own swords either. When I had android OS I would never download anything that was free, unless it was from a reputable company I knew. I think almost everyone who has a smart phone has pandora, except you windows phone lol. To hear that they are sharing your information too is quite unsettling, but it is good evidence to push towards keeping your app count very low.